provide eyeglasses for people living in underdeveloped countries. Could you get through your day without glasses? Millions of people struggle with impaired vision in countries where eyeglasses are not available or affordable. MOST Ministries provides vision clinics for underdeveloped communities through which people receive glasses and are connected to the local church. 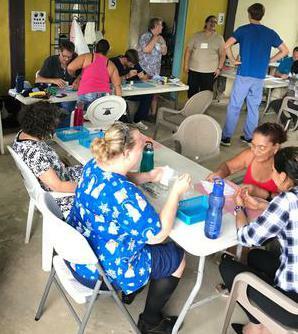 The glasses that are dispensed are donated or made from purchased lenses, which are cut and fit into donated frames to make a new pair of glasses. MOST Ministries distributes up to 10,000 pairs of glasses each year.